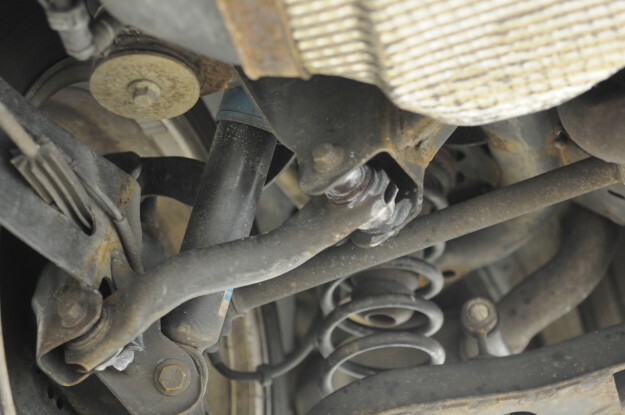 Noise coming from the rear end suspension of a car can be caused by a multitude of issues. Squeeks, creaking rattles, and groans are all signs that there could be an issue going on, especially if it happens over bumps and other changes in the road. 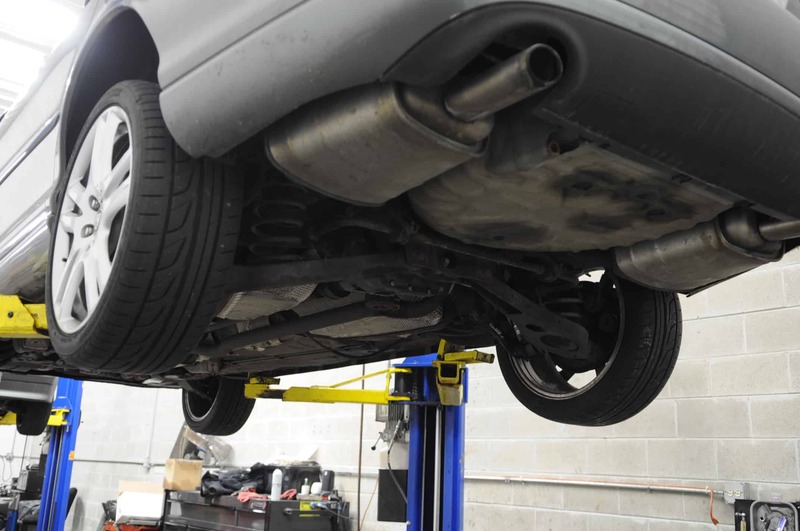 The owner of this 2004 jaguar x type 3.0 came in with a complaint of a Jaguar rear suspension noise that would creak over bumps and other surface variations. Inspecting the suspension lead us to discover that the right rear upper front control arm had a bushing that was torn, part number c2s 50863. 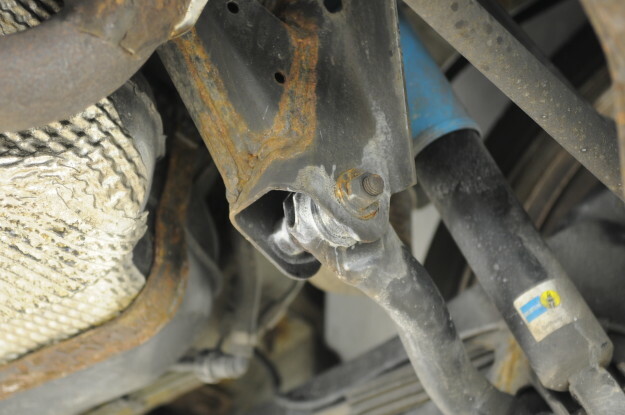 Removing this control arm should be pretty straightforward, two bolts and the control arm comes off, however, that is not the case on many x-types. 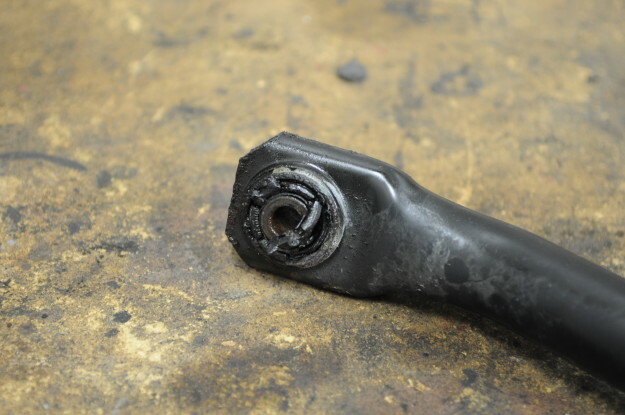 Often, the bolts will seize with rust and corrosion, inside the bushings, making removal very difficult. 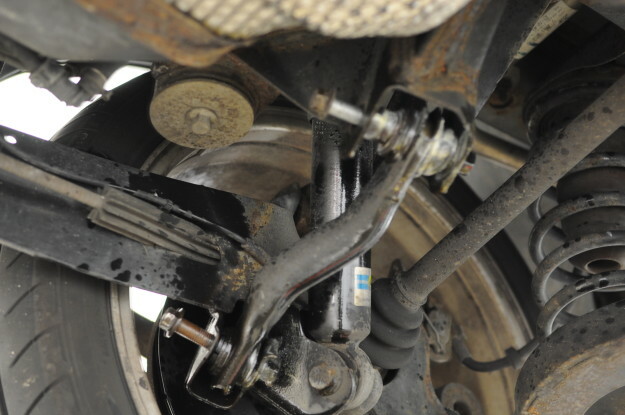 This can make a simple control arm removal into a very expensive repair needing lots of time and additional parts. 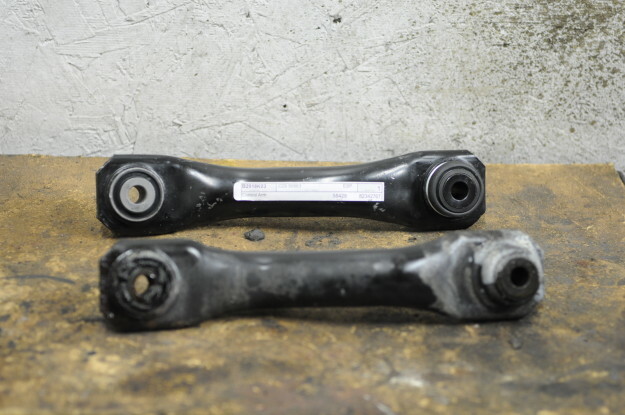 Using our extensive experience with seized components on this vehicle, we were able to break the bolt free of the bushing and remove the arm. This particular customer was quoted every control arm in the rear end by a local dealer, as well as time for dealing with the rust. This was one of those times where it was easy for us to not only beat the customers quote cost for cost, but save them thousands by using our experience to keep the customer out of additional work. 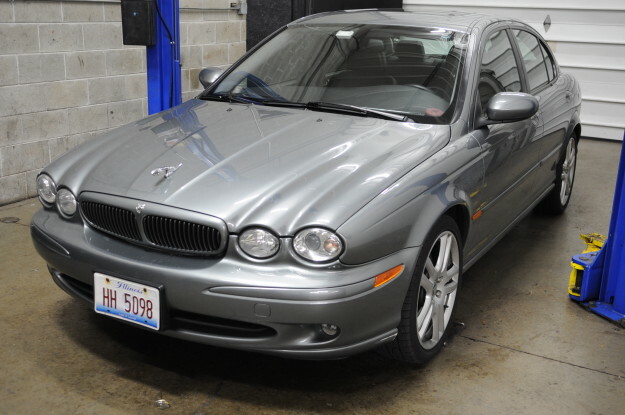 If your Jaguar is making any unusual noises and you would like the opinion of professional automotive technicians who try and save you money on your repairs, don’t hesitate to call us at 815-230-2900, or contact us through email at info@fluidmotorunion.com. We’re conveniently located in the Naperville/Plainfield area of the Chicago Metropolitan suburbs.